(4794, W. P. Campbell Collection, OHS). (905, Czarina Conlan Collection, OHS). The American Indian tribe known today as the Fort Sill Apache was moved to Oklahoma in 1894 after continuing nearly a decade of imprisonment and exile at U.S. Army installations in Florida and Alabama. Today's Fort Sill Apache are actually the survivors and descendants of the Chiricahua Apache tribe, whose original territory covered much of what is now the American Southwest in eastern Arizona and western New Mexico along the United States border with Mexico. The U.S. Congress passed a special provision enabling the federal government to relocate the Chiricahua prisoners of war to southwestern Oklahoma, making this the last American Indian group to be relocated to Indian Territory. Upon their arrival at Fort Sill the Apache prisoners of war were told that the fort would become their permanent home, and the military reservation was enlarged for that purpose. Following the allotment of surrounding Indian lands, local non-Indian politicians, business leaders, and U.S. Army officials agitated for the continued presence of the military near Lawton. By 1910 these individuals began the final orchestration to remove the prisoners of war from the military reservation. The Chiricahua were pressured to leave Fort Sill as a condition for their freedom, but many held out for return to their homeland or allotment at Fort Sill. Eventually, leaders of the Mescalero Apache Reservation (in New Mexico), urged by government agents, invited the Chiricahua to relocate to their reservation (a move that strengthened their own efforts to preserve their reservation lands from non-Indian encroachment). Despite the efforts of government and military officials, about one-third of the tribe continued to demand that they be allowed the Fort Sill lands they had been promised. A compromise solution between the Indian Bureau and the War Department led to the settling of those Fort Sill Apache who declined joining the Mescalero on unused (dead) allotments from the old Kiowa-Comanche-Apache Reservation lands near Fort Sill. On April 2, 1913, in an event recalled by the Fort Sill Apache as "the Parting," 180 Apache prisoners of war were relocated from Fort Sill to Mescalero, New Mexico. The remaining prisoners of war, numbering about eighty-one individuals in about twenty families, were eventually released and resettled on small allotments scattered around Apache and Fletcher, Oklahoma, by the end of 1914. Now known as the "Fort Sill Apaches," the tribe was dumped into the impoverished rural economy of southwestern Oklahoma and struggled to survive alongside their Indian and Euroamerican neighbors. In the decades leading to World War II all of the Fort Sill Apache gave up farming and went into general labor, trades, or work at Fort Sill. Of necessity, younger people did not have their own farms or had inherited partial shares of the parents' allotments, from which it was too difficult to make a living. They had to find employment wherever they could. For some of the older people it became more reasonable for them to simply lease their lands to local farmers. World War II led many to seek higher-paying jobs in Oklahoma City and beyond. 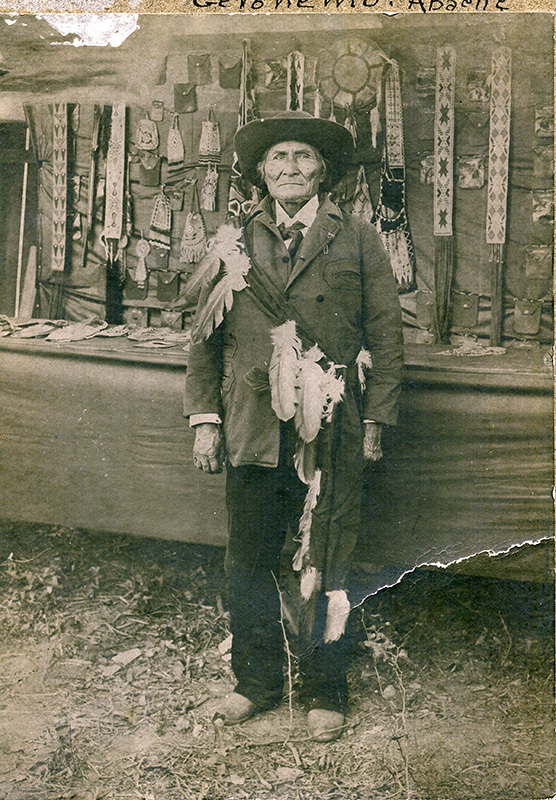 The tribe, seeking reparations and justice, remained informally organized and led, rejecting the opportunity to organize under the Oklahoma Indian Welfare Act of 1937. Bureau of Indian Affairs–sponsored organization of a tribal government only came in the aftermath of a multimillion dollar land and resource claim settlement from the Indian Claims Commission in 1973 and an additional court judgment in 1979. The Fort Sill Apache Tribe adopted a Bureau of Indian Affairs constitution in 1976. The history of the Fort Sill Apache Tribe in the nineteenth and twentieth centuries is marked by a high level of accommodation with the larger non-Apache as well as non-Indian cultural situation of southwestern Oklahoma. This has also meant significant loss of cultural identity because of the loss of a viable land base, a native spoken language, and other aspects of Chiricahua Apache culture. 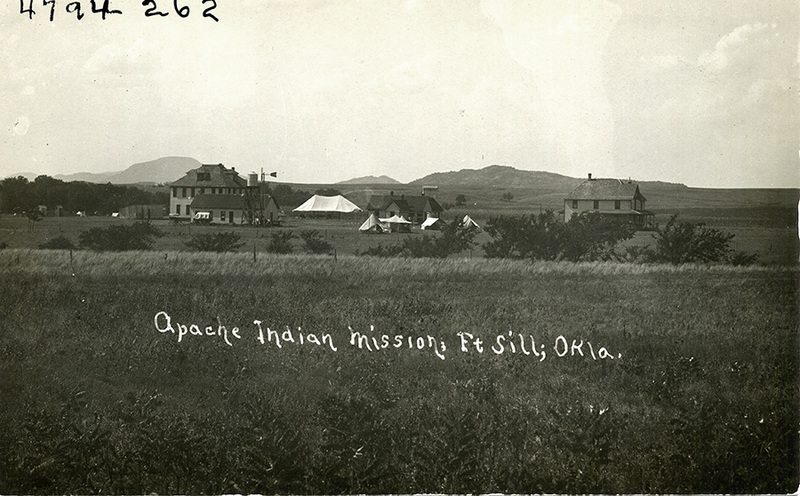 The Oklahoma Fort Sill Apache continued to maintain family and kinship connections to their relatives and friends who had moved to the Mescalero Apache Reservation. Well-known and capable leaders of the Fort Sill Apache Tribe during the twentieth century include Benedict Jozhe, Jr., Mildred I. Cleghorn (two of the last Chiricahua Apaches born under "prisoner of war" status), and the late Ruey Darrow. At the end of the twentieth century the Fort Sill Apache maintained a tribal headquarters north of Apache, Oklahoma. That acreage formed the first part of what tribe members hoped to be the establishment of a larger land-based presence. Efforts in the 1990s to develop a more viable economic and political base met with varying levels of success. By 2000 the tribe operated a successful casino facility in Lawton, Oklahoma. There were 517 registered members of the Fort Sill Apache Tribe. Keith H. Basso and Morris E. Opler, eds., Apachean Culture History and Ethnology (Tucson: University of Arizona Press, 1971). Clifford P. Coppersmith, "Cultural Survival and a Native American Community: The Chiricahua and Warm Springs Apaches in Oklahoma, 1913–1996" (Ph.D. diss., Oklahoma State University, 1996). Michael Leder and Jake Page, Wild Justice, The People of Geronimo vs. the United States (New York: Random House, 1997). John Anthony Turcheneske, The Chiricahua Prisoners of War (Niwot: University Press of Colorado, 1997). Clifford P. Coppersmith, "Apache, Fort Sill," The Encyclopedia of Oklahoma History and Culture, https://www.okhistory.org/publications/enc/entry.php?entry=AP003.